What a perfect week of weather this week in Louisville! Weather like this makes you realize how great it is to live in Louisville. And with the weekend upon us there are so many great activities we can look forward too. 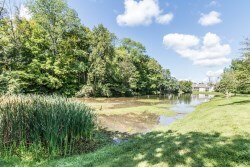 One great activity you might consider is taking a look at our new listing in a great neighborhood for real estate Louisville. 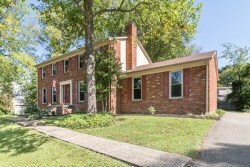 417 Timberlake Trail is a 4 bedroom, 2.5 bathroom, multi level home in the super Beckley Woods Subdivision. The first level of this home features an eat in kitchen, formal dining room, living room and family room. 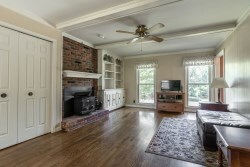 The family room has hardwood flooring, a fireplace, built-in bookcases, a wet bar, wood beams, a half bath, and crown molding. 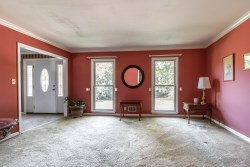 This room opens to the great sized back porch which overlooks this tidy back yard. The second level features 4 bedrooms and 2 full baths. The large master suite features an ensuite bathroom with a shower and vanity, plus a good sized walk in closet. This level has three more good sized bedrooms and a full bathroom. From the front door of this home you have a great water view. 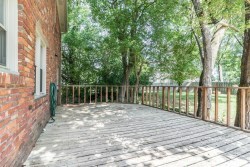 The back porch is the perfect spot to sit under the trees, to grill out, relax, and enjoy the awesome weather. If you would like to view this home or would want any more information please contact Scott Boehnlein of Family Realty.